Having a late evening bowl of one of my favorite Balakans, the re-make of lane's Crown Achievement in a Charatan Special st. bulldog . They got THIS ONE right !! Sugar Barrel in a Dr. Grabow CDL. 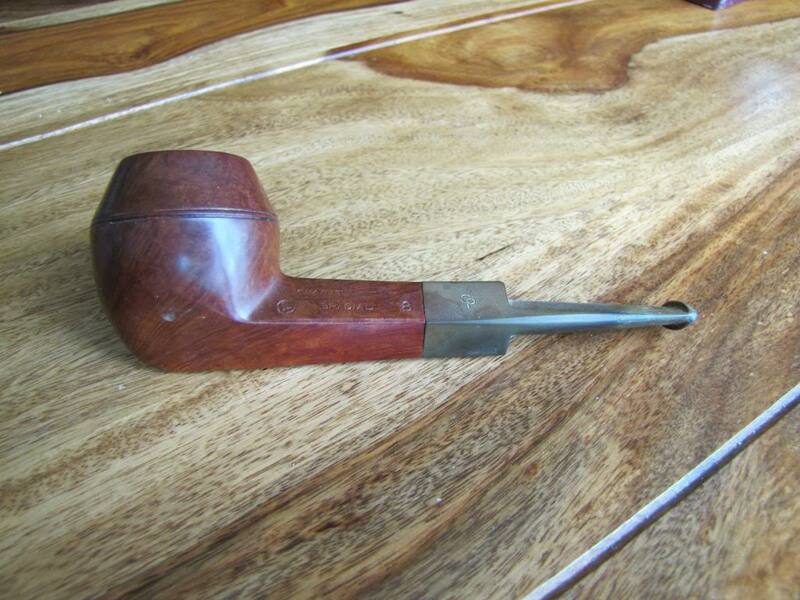 Cut Blended Plug in a Savinelli Capri brandy. OGS in my Sav 316 Oscar Lucite this morning after a light b'fast. Mid morning saw some Park Lane Orient Express Scene 1 in a Tinsky '13 Xmas Dark Blast Poker. Mid afternoon had some wonderful ODF in a Karl Erik Volcano. Have some Revor Plug prepped for after supper, which will be burned in my trusty Wiley Rhody. Union Square in my Jesse Jones Billiard. Greenodd Rope in a Charatan sandblasted lovat. Royal Yacht in a Dunhill Shell Dublin. Great minds and all that . . .
My palate is pretty burnt out today. Had some '12 HV earlier in my Pete 999 Flame Grain but didn't enjoy it much. I'll smoke some 5100 after supper. I have a humble Stanny Legend 19 dedicated to it so hopefully that will taste of something! 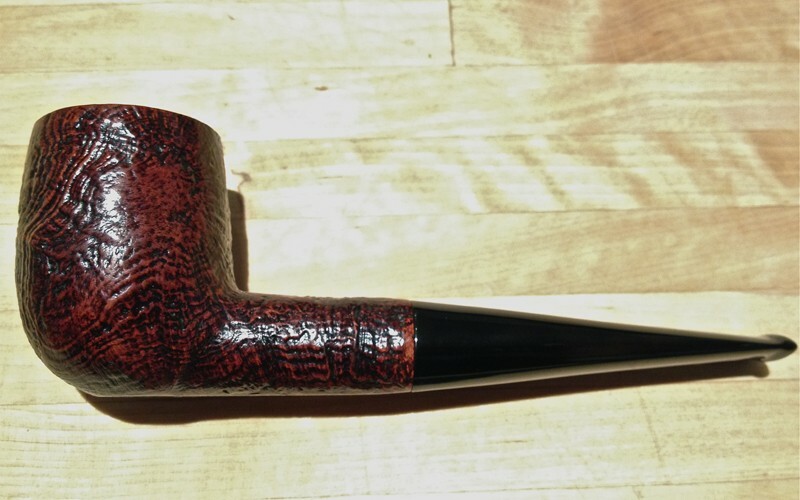 Sutliff 1849 in my Brigham 559 5 Dot slightly bent partially rusticated Author with pumpkin swirl acrylic stem. Boy I sure wish I had a couple more just like it. Great blend and briar combo. SG Special Flake no. 2 in an Ascorti Business rusticated apple. P&W #515 in my Harcourt "0" Danish freehand with acrylic transparent orange stem. First Responders in a medium bend raw sienna toned early Radice sandblast egg with bamboo craving on the shank. Jim's Evolving Work Blend in a smooth 1976 Canadian GBD Seventy Six 256. Half way through this bowl of Stonehaven in a 1998 smooth medium bend Peterson Limerick 69 with a nickel band.